Nova is a movie theatre that opened at the end of January, 1997, in the center of Brussels. The theatre’s programming is dedicated to independently produced films and videos. The Nova Cinema is therefore not a commercial screen, rather a non-profit organization managed by a collective of individuals who work on a volunteer basis. In existence for over a decade now, Nova has become an important reference point for alternative, unconventional or simply different approaches to the audiovisual arts, in Belgium and abroad. Nova offers monthly programming and events with films and program elements selected to complement chosen (and always changing) themes. Nova also organizes events that bring new, contemporary productions to the screen and offer a general platform for discussion. Nova’s program includes events such as ’The Open Screen’, ’Live Soundtracks", "TV Nova", "Midnight Screenings", "Ears Open" and "Cineketje"... as well as frequent special events organized in collaboration with external associations and groups. Nova screens short, medium and full length feature films, documentaries and experimental films that can’t find distribution in Belgium or are too "difficult" to screen in commercial cinemas. Nova, with years of programming and curatorial work under its belt, has naturally evolved into a small distribution house. And after dedicating so much attention to different workshops and alternative production methods, it has also put into place its own production structure. Above all, Nova is a social venue, a space that opens its doors to all disciplines. A variety of different creative forms of expression — visual art, photography, music, performance, etc. 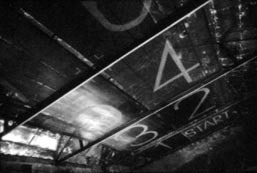 — is regularly featured in the spaces and bar located beneath the cinema. The bar-café welcomes diverse crowds and brings them together for meetings, debates, exhibits, installations, performances, workshops as well as events like the Microboutiek, DJs, concerts and parties. It is difficult to pack everything about this "house of living cinema" and how it’s managed into a few paragraphs. So we invite you to please come and discover the Nova Cinema in person! Is Cinema dead? When it comes to exploring this artistic medium, a medium that provides space for so many practices to come into play, the debate is intense and often unheard. In a time when the lines between art/entertainment/industry are rotting away, it’s difficult to come across films that haven’t been backed by enormous production and marketing budgets. 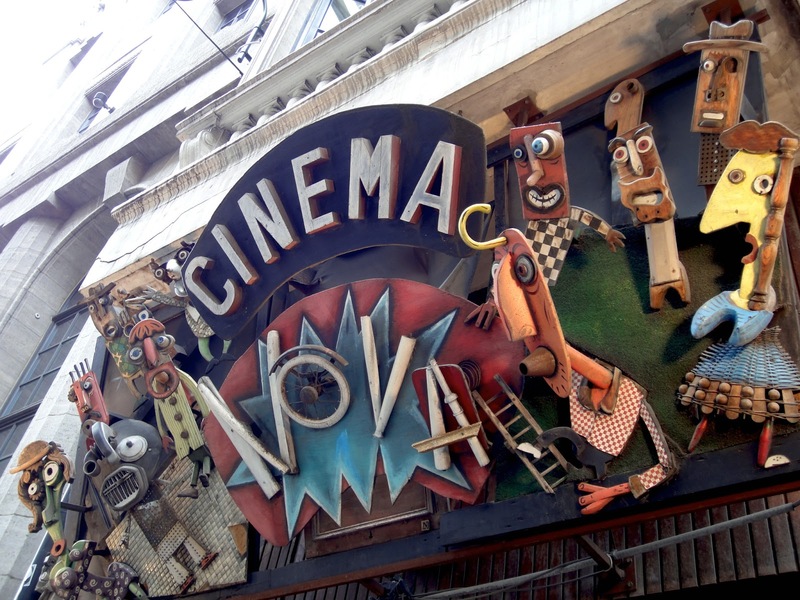 Cinema Nova, a one screen movie theatre in the centre of Brussels, opened its doors in 1997. Its goal: to provide access to alternative, unconventional and challenging cinematic approaches. Nova is a non-profit association that operates entirely on the dedication and sweat of its volunteer staff. Thanks to their years of commitment, the cinema’s reach and reputation has long since spread past Belgium’s borders. Nova offers diverse monthly programming based on selected thematic threads. In addition to screening contemporary and historic films, Nova organizes a variety of special events like the Open Screen, Live Soundtracks, TV Nova, Ears Open, Cineketje and Midnight Screenings. Throughout the year, Nova is also a proud collaborative partner on national an international events like the Brussels Fantasy Film Festival. The Nova screen is open to all formats and welcomes a mix of short, medium and full length feature films, as well as documentaries, experimental short films and videos that were either never properly distributed in Belgium or simply shunned by the conservative commercial circuit. After years of programming screenings, establishing an international network, and organizing events, Nova has naturally evolved to establish additional structures to support cinema. It has not only become a small distribution house, bu. thanks to its focus on different workshops and alternative production methods, it has begun to develop its own production structure. In the spirit of Cinema, Nova also strives to make space for other mediums. Performance art, political forums, musical gigs, the Microboutiek, and a slew of visual arts are displayed on a regular basis in the Nova Bar located beneath the cinema. Drinks are cheap, conversation is easy to come by, and DJs provide the right atmosphere to bring together diverse crowds . Like the theatre space, the Nova Bar and studio are aimed at sharing and stimulating discussions and experiences. The true scope of Nova is hard to pack into one introduction. If you are curious about this "house of living cinema", we encourage you to send an email to a member of our team or, better yet, to stop by and see the space for yourself! Nova was created to explore and articulate the realities and alternatives of an increasingly commercialised and polarised society. A society dominated by media technology, the ethics of privatisation and the conformity of images. It was born from a desire to develop tools and a space for research, reflection, connection, confrontation, creation and experimentation in the realm of images, particularly in cinema. > From the "theatre crisis" to today"
These objectives were made concrete in 1997 as part of a programming and revitalisation effort to save an old abandoned Brussels cinema from demolition. The rehabilitation process gave birth to "Cinema Nova", a space for inter-cultural expression and social critique, articulated by the use of contemporary artistic and non-artistic audiovisual media. While anchored in the urban realities of Brussels, the originality of its programming policy earns the Nova a unique place in the city. The venue is recognized as a space for discovery, dialogue and conviviality. At the same time, the cinema’s programme deviates from economic and other conformities: The project utilises public space to re-politicise (in the etymological sense of the word) and provide an opening toward the world, and to take part in social and societal change. As today’s media and economic powers become more and more concentrated, it is imperative that we develop alternative forms and avenues of expression and establish collective structures of power and knowledge. Nova uses audiovisual and cultural expression in the broadest sense: as a tool to educate, sensitise, provide training and engage in debate. It hosts activities that revolve around social and societal questions in an effort to create a context for reflection. It is devoted in particular to the screening, distribution, production and promotion of audiovisual works in a creative, political and contemporary context. Nova is a project in constant bloom. Its screen is open to works created under an ethos of artistic, economic and ethical independence and autonomy; works that display an investigation of form as well as content. In also reserves a place for minority genres; those disqualified or denigrated by a certain orthodoxy. It aims to de-mystify cinema by screening films by untrained filmmakers, non-professional film or video formats, low budget productions; without restricting their duration, etc. Nova sees cinema as an experience nourished by multiple artistic and cultural influences; as a language for both deciphering and constructing the world; and as the expression of personal, subjective and original vision, free from the status quo. Nova does not limit itself to simply presenting this creativity, but seeks to contextualise the work with recourse to community, mixed and transcending genres, and to a common sensitivity or theme. It therefore searches for new perspectives and thematic contexts. Nevertheless, the programme is not limited to this approach and does not seek to pigeonhole works and place them in artificial categories or a pre-established discourse. Nova strives instead to offer a platform, to support and foster the creative expression of different communities or parts of the population that are never or rarely represented in traditional media or in society in general. It proposes this through individual or collective interventions and analyses conducted independently of the audio-visual industry. Alongside films, Nova’s programme includes events such as concerts, dinners and debates to create a convivial environment. This interdisciplinary approach helps to attract a diverse public and bring together a multitude of viewpoints and responses. A programme is not conceived by an individual, it involves a collective effort and dialogue. Which is why Nova refuses to hand the job over to curators or other artistic directors. Although Nova does not accommodate "ready made" programming, it is open to exterior collaborations that embody the spirit of true exchange and coincide with the cinema’s social objectives. Cinema cannot be disassociated from life nor can it superimpose itself on life. 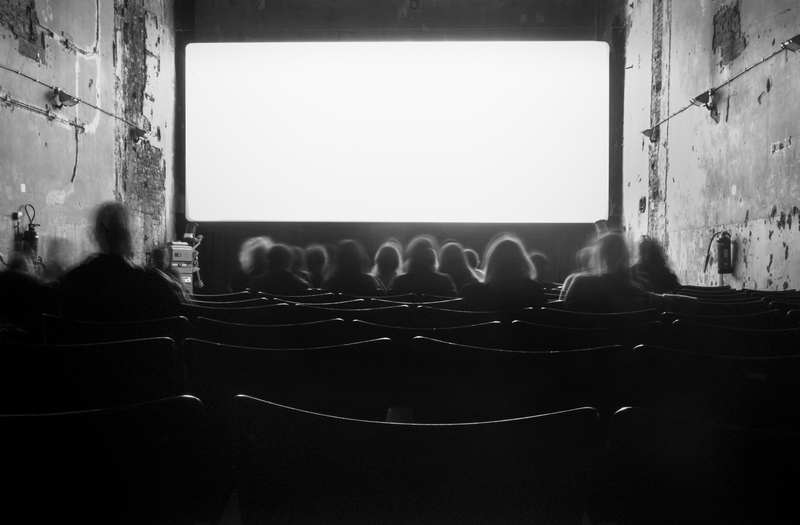 Cinema is an important medium with which to connect and confront "social movements", to cultivate individuality and create alliances, however transient they may be. Nova is a collective in perpetual being, composed of creators, producers, spectators, and audiovisual media. They are activists in providing a critical understanding of images and democratising audiovisual expression. The association strives to provide accessibility to marginalized social groups, whether they be cultural minorities or minority cultures. Nova’s programmes are created by and with individuals and collectives wanting to tackle certain issues without subjecting them to institutional filters. Borders between creators, producers and the public are fluid and open. The public is not regarded as a passive ensemble of "consumers" but as individuals capable of expression and creation. Nova seeks to compose from the heterogeneous multi-cultural, multi-lingual realities of Brussels. Every Nova spectator is a potential "participant". The audiences are composed of individuals with different backgrounds, different social conditions and sensibilities that enrich the programme with their own experience. This gives Nova its platform identity, a place to exchange different dynamics, one of Nova’s original founding ideas. This programming ethos also culminates in a number of international networks and collaborations between individuals and collectives who also wish to pool and exchange their knowledge and practices. Thus, Nova takes the legal shape of an international, non-profit association. Nova does not seek to generate profit and is not subjected in any way to direct or indirect commercial interests or business objectives. Accordingly, it also avoids affiliation with any political party, trade union, public agent, community or any other group or ideology. In this spirit, the association has never resorted to publicity and marketing as a financial source, be they in Nova’s publications, programmes or the places that accommodate them. Nova is not a service provider. External requests must uphold the association’s objectives and manifesto. 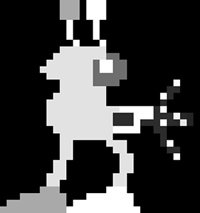 They are secondary to the other resources and have no influence on the design and independence of Nova. The association exercises a clear accessibility policy. It organises many free events and offers the lowest possible admission to the activities that require paid entrance. Many of Nova’s activities can only be realised with the financial support of the public authorities. This allows the project to operate as a non-profit organisation. Nova considers it legitimate to undergo evaluations by public authorities so long as the evaluations conducted relate to procedure and does not question the content of Nova’s programmes. Nova pleads for co-evaluation practices to be implemented rather than hierarchical "top-down" evaluation so that accountability is ensured amongst all actors: funding authorities, association and users. Obtaining public subsidies should neither place conditions nor modify the operation, contents, or editorial policy of Nova adopted by its members. Nova has no intention of renouncing its multi-community, intercultural vision of Brussels. Since Nova does not consider itself a cultural windo. on one specific community, it is open to support and financing from all and any authorities that have cultural competences in Brussels. In this way, Nova can assert its multiform and transversal nature. Though aware that the divided nature of cultural policy can make this form of action difficult, Nova tries not to limit itself to any one sector of activity or to a set of overly-specific or compromising conditions. To do so would position the association in a logic that it did not choose of its own will. Nova relies mainly on the voluntary work of its members and their acquisition, division and transmission of knowledge. The collective must ensure that different degrees of involvement remain possible at all times. Nova constantly questions and researches the balance between the individual and the collective so as to prevent wearing out the group and its members. The modus operandi defined in by Nova’s statutes favours collective work, wherein each member of the collective participates in the decision-making process. This is carried out by consensus: The collective focuses on a particular issue and engages in discussion, passing from one position to another, to find a solution that encompasses the opinions and thinking of all members. This practice encourages an interdisciplinary approach. Each project at hand passes through the different areas of expertise of the collective’s members. It is also possible, however, to specialize, as certain tasks may require a level of expertise that can only be reached over time. The Nova supports an artisanal approach to work. It wants to avoid the shortcomings of "professionalisation" that occur with salaried work. However, it does not reject the principle of remuneration. If the possibility to remunerate certain tasks arises through funding authorities, it can be put into practice with the provision that it does not hamper the voluntary nature of the collective, it does not reduce the funding required to carry out the project, and does not create too great a dependence on subsidies. Whatever the function, anyone that is paid by the Nova is there to support the structure of the collective and discharge the volunteers of certain tasks. This reliance on voluntary effort, combined with a lack of sufficient funding, has transformed from a necessity to an enriching aspect of collective life that Nova intends to cultivate.